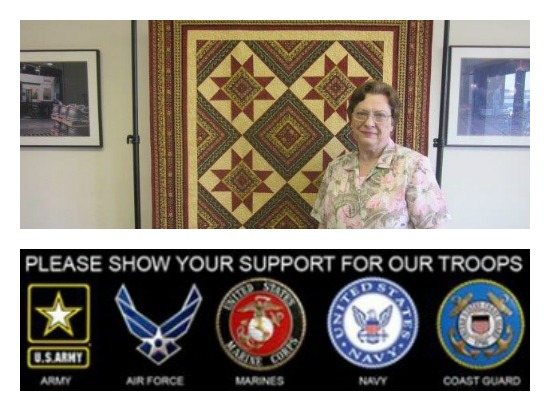 Mary Ann Lampe Quilts to Help Clow Veterans Group | McWane, Inc.
Posted on May 11, 2015, in Community Involvement & Giving and tagged Clow Veterans Group, community, CVG, donation, McWane, McWane Ductile, McWane Ductile Ohio, military, quilt, veterans. Bookmark the permalink. Comments Off on Mary Ann Lampe Quilts to Help Clow Veterans Group.